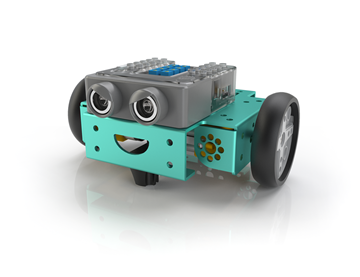 Robotic learning is the most effective educational solution to acquire critical STEAM skills for a student’s future success. 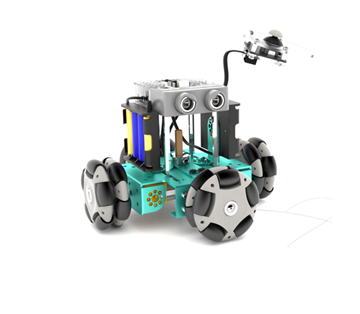 Innovative robotic architecture and design, combined with it’s intuitive coding platform, the E300 learning kit inspires students to develop higher order thinking skills and apply robotic concepts to real world scenarios. 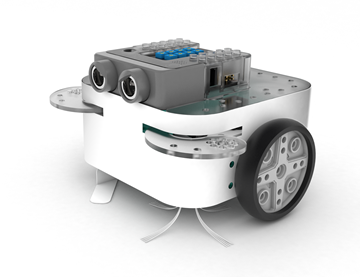 Encompassing creativity, design thinking, and computational thinking, the FlipRobot E300 empowers students to embrace and lead innovation. To navigate terrain inaccessible by the wheel, students learn the concept of kinetic energy through limbed mobility. 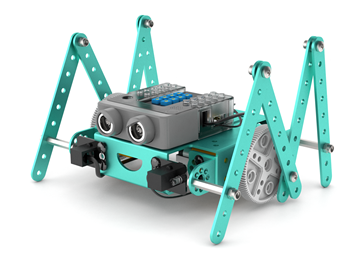 The insect limbed robot extension kit transforms the E300 through the interaction of DC motors and integrated limb parts to construct a versatile vehicle personifying animal movement. With the included light sensors combined with clever coding, students explore artificial intelligence to bring the E300 to life. This extension kit does not include the E300 starter kit. To complete this assembly, the E300 starter kit is required. Creativity, design-thinking, and artistic skills are the foundation of innovation. With the Air Piano Extension Kit, students will have the opportunity to innovatively combine ultrasonic sensors, and coding, to programmatically express musical creativity. This extension kit does not include the E300 starter kit, but it requires the E300 kit to complete its assembly. Whether to explore creative expression, or to delve into the world of industrial design, students will benefit from the Little Artist Extension Kit. 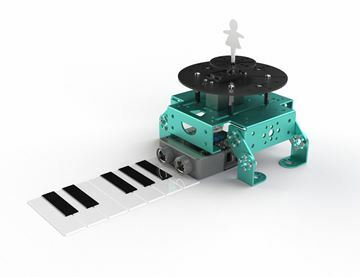 The versatility of the Omni-directional wheels enables students to unleash their creativity. Combined with the intuitive FlipCode programming platform, this extension kit translates the students curiosity and imagination into visual masterpieces. Automation is all about working smarter, faster, and proficiently. By constructing an automated personal cleaning assistant, students explore the use of modern robotics in everyday life. The Smart Household Cleaner Extension Kit teaches students robotic adaptability and programmatic coding agility. Copyright © 2019 Actura Australia Pty Ltd. All rights reserved.